ARE YOU LOOKING TO JOIN OUR TEAM ? YOU COULD BE THE RIGHT FIT FOR US. We're always looking for qualified individuals to join the family. Fully understands, embodies, and embraces the Full Psycle culture and represents it well inside and outside the studio. 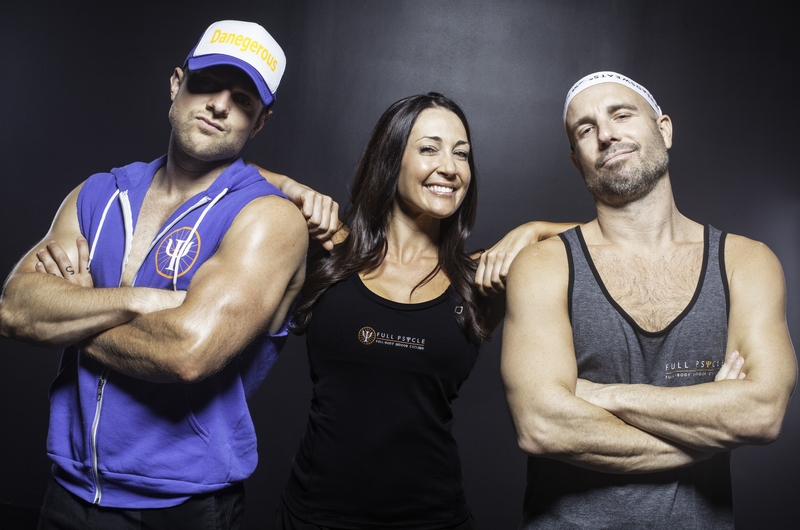 Full Psycle Instructors are the faces and personalities behind our brand. They are responsible for making the workout inviting, fun, exciting, challenging, and borderline addicting. 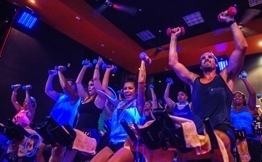 Full Psycle Instructors must be charismatic, extroverted, in shape, good with and passionate about music, coordinated, able to connect with members in and out of class, technology savvy, and most importantly, a believer in Full Psycle and what we are all about. Create a party-like environment by a) knowing how to use our professional lighting and sound systems, b) knowing how to select well-liked and upbeat music, and c) knowing how to encourage crowd participation. Be a team player and work well with other members of the Full Psycle team, including other instructors, front desk employees, and management. Must be charismatic, outgoing, and positive. Must be likeable by people of different ages, gender, and personality types. A Full Psycle Studio Manager is passionate about fitness and delivering a superior experience. They prioritize driving sales and revenue within the studio by delivering an inspiring experience to our members and guests. They must fully understand, embody, and embrace the Full Psycle culture and represent it well inside and outside the studio. Full Psycle Managers must be fit, friendly, understanding, accommodating, hard-working, problem solvers, computer savvy, and most importantly, passionate about Full Psycle and what we stand for. Managers are responsible for meeting studio sales goals of new memberships by pre-planning with strategic new customer outreach, in-studio leads (first-time riders) and member referrals. They also prioritize membership renewals and retention rates. Managers are responsible for building a winning team to help accomplish these goals. They must exemplify leadership qualities in all areas of the business, and have the ability to build lasting relationships with prospective and current members in order to build a strong ambassadorship and retain members. MUST have and demonstrate a commitment to health and fitness. ACSM, ACE or similar certification. 2+ years of retail/service sales or fitness sales experience. Confident in generating personal sales and training Sales Reps in sales. Must be fluent in English and have excellent communication and strong interpersonal skills in person, on the telephone, and via email. Demonstrate proficiency in social media use. CPR certified (can be facilitated by the owner if needed). Grow the business by increasing membership sales. Create personal connections with members. Ensure exceptional member service and experience. Lead generation including Grassroots Marketing and Networking. Recruit, train, coach, and educate a team on Hospitality and Sales Conversion tactics. Recruit, train, and coach a top team of fitness instructors. Conduct pre-planning activities including strategic outreach, for securing first-time rider/lead flow. Conversion of non-membership based users to membership base. Working with Studio Owner on setting Monthly, weekly, and daily targets for meeting goals. Driving Referral business through ambassadorship. Build rapport and lasting relationships with prospective and current members. Embrace hospitality and drive the Full Psycle Culture. Inspiring members and staff to reach their goals. Create and Manage class and staff schedules. Maintain cleanliness and organization of the Studio. Schedule and participate in networking/community events and studio promotions. Strategically manage marketing campaigns to generate leads for the studio. Overseeing all customer service related issues. Overseeing studio-specific social media accounts. Ability to instruct up to 3 Full Psycle classes per week, and substitute when needed. Competitive base salary based on experience & performance. Medical (Employer participation). Voluntary Dental, Vision, Life, Disability, Accident, etc. Free Unlimited Membership for self and significant other or family member. Opportunities for professional growth on a regional and national level. Discounts on Full Psycle retail and apparel.